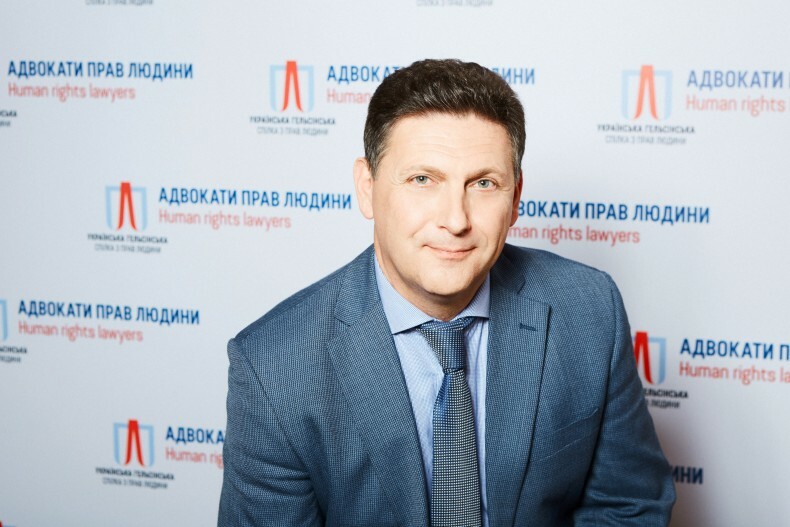 Chief of the Analytical department of UHHRU Oleg Martynenko on why Ukraine should reform its security sector within the model of the transitional justice. The security sector reform is particularly important for Ukraine not just in the context of the armed conflict, but also due to the need to adopt the principles of transitional justice, which include institutional reforms that would prevent the conflict’s recurrence in the future. Ukrainian human rights organizations have been saying this since 2015. In international practice, the security sector refers to the bodies and institutions responsible for management and control of a country’s security: the armed forces and law enforcement agencies, as well as penitentiary and intelligence services. The security sector is supposed to respond to public needs and guarantee national security for the good of the people. In accordance with the European approach, the civil security sector involves the work of security agencies, law enforcement, judiciary and defense, properly coordinated in the legal field. I would like to direct the readers’ attention to the fact that the security reform is not synonymous with a reform of defense, being broader and better reflecting the interests of the population as a whole and individual social groups in particular, and taking into account gender considerations. However, in the opinion of international institutions, the leadership of Ukraine and its security agencies has remained at the preparatory stage of this reform for too long, despite the availability of relevant conceptual and strategic documents. For this reason, Ukraine’s security sector is still called the “security and defense sector”, employing at least 590,247 people. To assist Ukraine in reforming its security sector, in December 2014 the European Union established the European Union Advisory Mission (EUAM), whose mandate was extended by the Council of Europe until 31 May 2019, with a budget of 32 million euros. In addition, since 2001, the issues of Ukraine’s security sector have been within the purview of the Geneva Center for the Democratic Control of Armed Forces (DCAF). preparatory steps of the reform related to the activities of the National Police, National Bureau of Investigation, National Agency for the Prevention of Corruption, State Bureau of Investigations, State Center for Cyber Defense and Countering of Cyber Threats. However, in general, domestic and international experts are forced to conclude that as of early 2018, Ukraine has failed to fulfill a number of commitments on the reform of the security sector. The lack of a law on national security causes the biggest concerns, its draft only registered with the Parliament on 28 February 2018. Unfortunately, this bill does not touch on such issues as economic, informational or environmental safety. It declares the involvement of local self-government bodies in upholding national security, but does not define their powers, or the duties and rights of citizens in the field of security. The draft law also provides no exhaustive list of restrictions on human rights and freedoms in connection with the activities of security agencies. Ukraine has been unable to avoid political agendas when appointing officials to administrative positions in the security agencies, which led to a significant reduction in the competence of their leaders. As a result, there is a real risk that security agencies will get involved in political conflicts on the side of various political forces. Among the consequences of these processes are criminal investigations by the Military Prosecutor’s Office in 2017 of 118 crimes committed by Security Service officers (abuse of power, physical violence against detainees) as well as members of Ukraine’s military. The Security Service of Ukraine remains the most unreformed agency of the security sector – a militarized body that is closed to public supervision, with weak analytical and predictive as well as gender components. The SSU currently performs both counterintelligence and unfamiliar police functions (combating organized crime and smuggling), including the function of pre-trial investigations, which does not comply with the European standards for special security agencies. Numerous instances of unlawful actions on the part of Security Service officers have been recorded in the ATO zone in 2014-2017. For instance, in May 2017, a woman detained in Mariupol, suspected to be a member of an unauthorized armed group, was beaten and subjected to an unlawful physical examination. International organizations are receiving complaints from civilians passing through checkpoints regarding instances when SSU officers force people to sign documents on their consent to collect information and report it to the Security Service. Just on the grounds of SSU’s reports, social networks VKontakte and Odnoklassniki were blocked in 2017 and restrictions imposed on 468 legal entities and 1,228 individuals. The decision to block the websites received negative feedback from virtually all target groups as well as international and national experts due to the violation of the principle of proportionality of the state’s interference with freedom of speech, as well due to the lack of a proper methodology for assessing Internet content in the SSU. Planning of military operations remains a separate topic in the reform of the security sector, since even in 2017 most of them were not properly planned or executed in a way that would minimize damage to civilian population from the use of weapons. Human rights activists report that official investigations into the disappearances of at least 425 servicemen have been conducted by military command inefficiently or have not been conducted at all, and no compensation is being provided to the families of the missing persons. There are no DNA databases for servicemen and law enforcement officers, which makes the search and identification of those missing an unreasonably long process. Remains unsatisfactory the work in the field of humanitarian demining, given that, according to The Hallo Trust, levels of mine contamination in Ukraine are among the highest, along with Afghanistan and Syria. The issue with keeping accurate records of damage and losses in the ATO zone is compounded by the ineffective work of the National Police. A number of settlements in the ATO zone have no local police inspectors, or they only work a few hours a week. Citizens whose property has been destroyed or damaged are unable to turn to law enforcement to bring criminal charges. Local police departments often do not report crimes to the Unified Register of Pre-Trial Investigations to reduce the negative statistics on ATO-related crimes. During 2014-2017, the Ministry of Internal Affairs of Ukraine failed to provide reliable protection of peaceful assembly. This primarily concerns regional public events organized by minority groups or political opposition. The Ministry of Internal Affairs failed to create an adequate regulatory framework for organizing the work of its personnel during peaceful gatherings, as had been planned in 2016. The forces of the National Guard, National Police and Patrol Police, responsible for upholding public order, lack proper coordination and the ability to act in a cohesive manner, and often wear no signs that would identify them as law enforcement officers, which puts the participants of peaceful demonstrations at risk of arbitrary, unlawful and oppressive actions by the government.